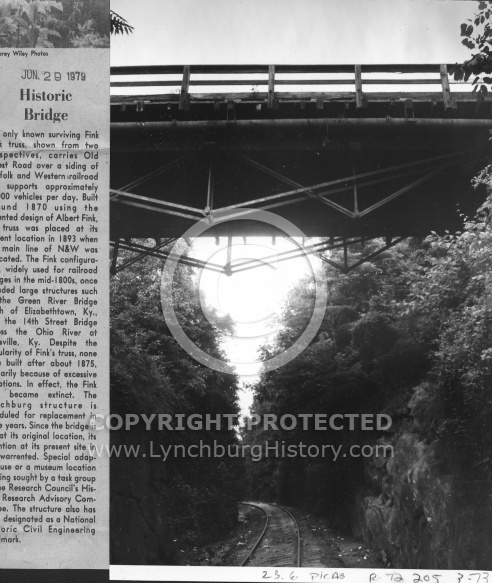 Description: Historic bridge the only known one in the are with the Fink Truss system. Built in 1810. Article in the newspaper on July 29, 1979.